With the GOP-backed tax reform bill passing today, speculation about who may win big (or lose) under the bill is running rampant. Articles have trended for months with claims that the bill will hurt or help the real estate market; however, after the final version of the bill went through, the overall sense is that Christmas came early for real estate investors. Specifically, certain regulations that were open for debate have been settled, and will favor landlords and investors with income from rent. With today's passing of the bill, although only time will answer some questions about its effects on the market, we know that investors have a solid win on the board. 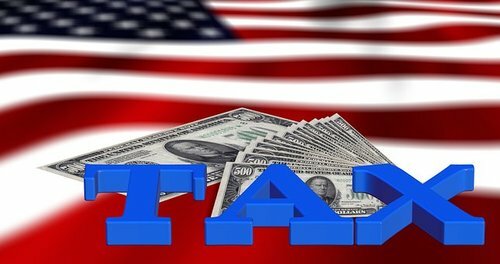 One of the biggest reasons that real estate investors and landlords have to cheer the passing of the GOP tax reform bill is that they received a major perk with the inclusion of a tax break for “pass-through” income. Pass-through income is income from owned properties or rental income that can be “passed-through” to an investor's personal income and taxed at a lower rate. The provision would allow for a 20% deduction for these pass-through entities which will include LLCs, S- and C-corporations. According to an article that appeared on Bloomberg only days before passage of the final bill, the perk will benefit both the “ultra-wealthy” real estate investors as well as “ordinary people who invest in real estate.” While that certainly includes a large group, it's a real win/win for any investor! According to another article which appeared this week on HouseWire, real estate firms and those who owned property without employees would be the major beneficiaries of the pass-through perk. The pass-through deduction received some additional time in the spotlight as several news outlets began to refer to it off-hand as the “Corker kick-back,” insinuating that the insertion of this provision was the reason that Senator Bob Corker switched his initial “no” vote to a last-minute “yes.” Yet other journalists called it much ado about nothing, noting that the language hadn't suddenly appeared in the bill and had been an “off-shoot” of previous House bill language. The same CNN reporter who noted that the language wasn't brand new also noted that any business with depreciable property – certainly meaning real estate – would fare very well under the bill. In fact Forbes went on to explain that the actual intent of the pass-through provision was to ensure that capital intensive flow-through firms were not excluded from tax rate relief. And in such a complicated piece of legislation, defining what types of firms and properties are eligible for what specific tax relief, as well as how income is to be treated, is mandatory for those firms to receive equitable treatment. The bottom line after the immediate passage of the bill is that landlords and real estate investors will benefit by the restructuring of the tax law and that the pass-through provision is a major boon for those in the industry.